2016. Manchester, NH. USA. 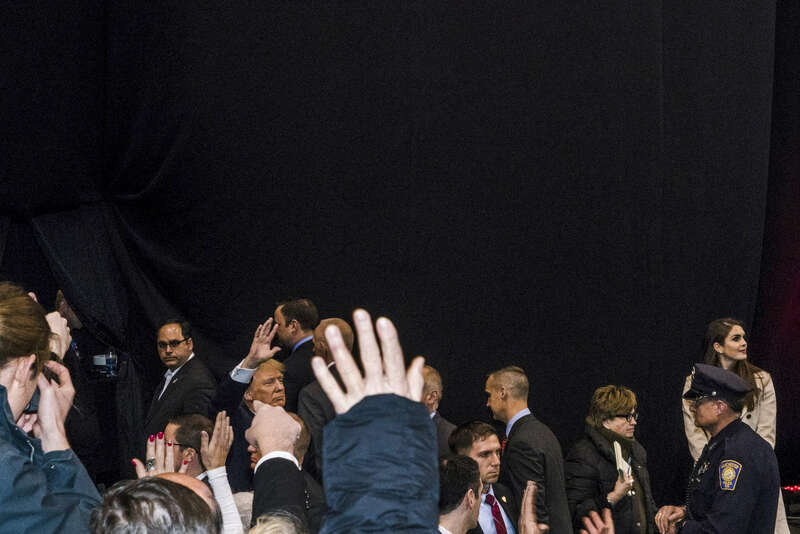 Donald Trump waves farewell to the crowd at a rally at Verizon Center on the eve of the primary. Donald Trump ultimately won the Republican primary and Bernie Sanders won the Democratic.